Chartio is a business intelligence solution designed to enable anyone to easily analyze and visualize their data. 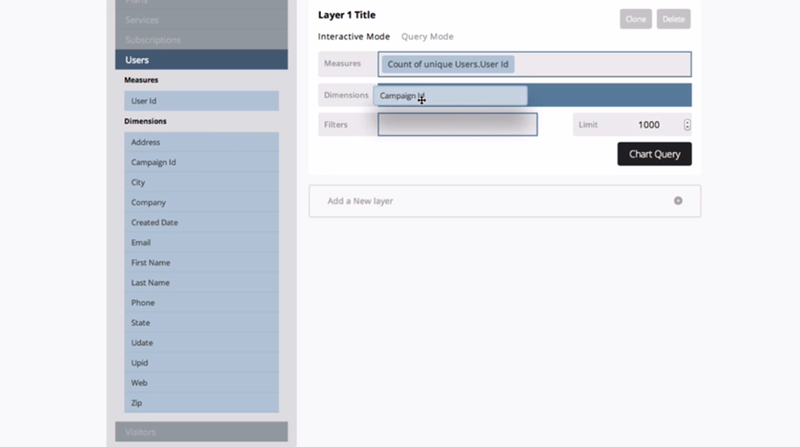 Quickly and easily visualize your Amazon Redshift instance alongside all your business data. Use Chartio’s drag-and-drop interface or write and share your own SQL queries to uncover deeper insights from all of our data in one place. The Chartio platform can be implemented fully in the cloud in less than a day, so you don't waste any time gaining the insights you need. Stop spending time fulfilling data requests and empower everyone to explore their own data. Connect Chartio to Amazon Redshift and start analyzing your data in minutes. Discover insights instantly with our real-time BI solution. Enjoy unlimited access to our 14 day trial - unlimited data sources, reports, and users! Connect Chartio to Amazon Redshift and start analyzing your data in minutes. Enjoy unlimited access with our 14 day trial.